It’s a great time of year for a picnic so why not celebrate National Picnic Week by packing some butties and heading off to one of our favourite picnic places? 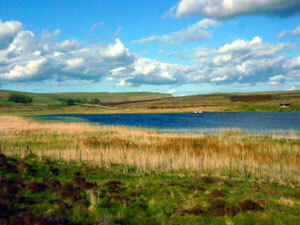 Sunbiggin Tarn is a lovely, peaceful place 4 miles from the village of Orton. It is a Site of Special Scientific Interest surrounded by peaceful, open moorland and popular with many species of birds. Keep an eye out for Great Crested Grebes, Goldeneyes & migrating Green Sandpipers. A short walk away you can find Howes Well ring cairn, like a mini stone circle & you can also walk on Great Asby Scar with its limestone pavements. This entry was posted in Blog and tagged arnside, kendal, kirkby lonsdale, picnic, windermere on 19/06/2014 by Alison Mason.